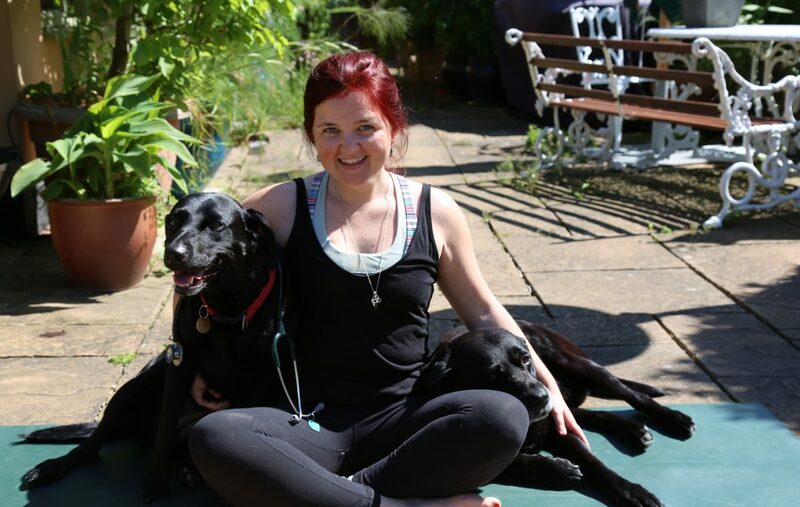 My name is Chloe, and I qualified as a vet from the RVC in London in 2012. Over the last few years I have worked in mixed and small animal practice, and extensively as a locum in the UK, Australia, and New Zealand. I love what I do, most of the time, but sometimes veterinary medicine can be a very challenging profession to be a part of! Having practiced yoga on and off for many years I found it was becoming an integral part of my life. It was helping me to manage my work-related stress, feel more positive about clinical life, and was relieving the tension and aches in my body that came from doing a tough job, both physically and emotionally. Practicing yoga and meditation have encouraged me to care for myself, and that in turn, I believe, has not only had a really beneficial impact on me professionally, but increased my happiness levels personally. In a time when self-care and mental health awareness are much needed amongst the veterinary community, we need to find methods of coping and thriving. Who better to know what is relevant than another veterinary professional? I want to share realistic and evidence-based ways of what has worked for me in the hope it will help you and your colleagues. To that end I qualified as a yoga teacher in 2017 with the aim of providing yoga services designed by a veterinary professional, for veterinary professionals. See From Neutering to Namaste: Why one Vet decided to become a Yoga Teacher to learn more!